At Portfolio Credit Control, we pride ourselves on our commitment to service delivery, business ethics, honesty and integrity and ensuring our service exceeds your expectations. Our credit control vacancies range from support level to managerial, with employers including small firms, global brands and everything in between. We can offer an in-depth understanding of the market, giving you a personal, bespoke service to assist you in finding your next role. Portfolio Credit Control have become the recruitment agency of choice for many of the UK’s biggest brands and companies when seeking a credit professional. We are personal – we offer every client and candidate their own dedicated consultant matched to their individual needs and requirements. We have access to a huge range of permanent and interim opportunities due to our strong business networks and impressive client list. We have an exceptional track record filling roles successfully for small firms through to global blue chip companies. We have a passion for excellence and are driven by exceeding both our clients and candidates expectations. We take pride in our fast and professional award-winning service. We know our market inside out and genuinely love what we do. 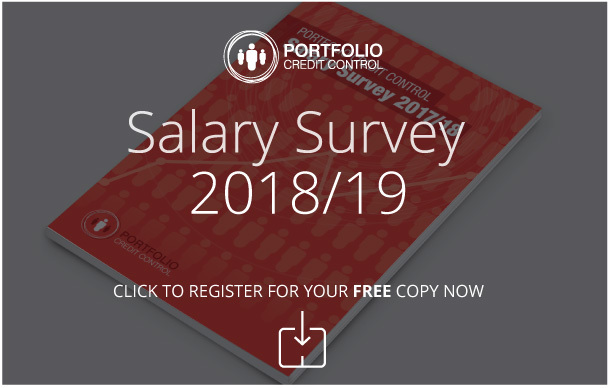 In such a niche industry, working in partnership with Portfolio Credit Control ensures you benefit from working with a specialist recruiter with extensive market knowledge, whilst candidates can rest assured they will be put in contact with the very best companies within the market, ranging from FTSE 100, FTSE 250 through to SME clients across industry sectors throughout the UK. We focus on working closely with our candidates to ensure we really get to know your key skills, experience and career aspirations. Matching you to your ideal job requirements and ensuring you benefit from working with a market leading specialised credit control recruiter. For advice or more information about the roles we recruit for contact our recruitment specialists today.